Start your American Family Windshield Replacement Online Claim Now! Glas Tek is a proud approved American Family windshield replacement and auto glass repair mobile service provider. This means that Glas Tek has agreed to American Family contract pricing and American Family stands behind our auto glass repair & replacements. This should give American Family policyholders confidence that they have chosen a great company to perform their auto glass installation. At Glas Tek, we try to make the claim process pain free. We will answer all of your questions in advance so that there will be no surprises. American Family policyholders can even start their auto glass replacement claim online. American Family windshield replacement & auto glass claims have never been easier! American Family is a household name when it comes to auto insurance and professional window replacement for automobiles that have been in accidents. You can find your resolution at American Family if your vehicle has been victimized by street accidents, hailstorms, fallen tree branches, kicked up rocks or rough child’s play. Glas Tek is the company that American Family prefers to have to do its auto glass replacement and repairs. Glas Tek is a friendly and professional, female-owned, approved American Family windshield replacement company. A positive aspect of buying insurance through American Family is that customers do not have to trouble themselves with the burden of premium increases. In fact, Arizona state law, requires insurance companies to cover all glass in automobiles without increasing insurance premiums due to loss. In addition, Arizona drivers, can add American Family windshield replacement coverage to their policy at a very low premium that will cover all the auto glass in their car without having to pay a deductible or worrying about their insurance premium increasing. Most insurance companies will raise a person’s premium in the blink of an eye, no matter how the accident occurred or whose fault it was. American Family does not operate in that manner. Its main goal is to keep coverage as low as possible so that every client can keep his or her vehicle protected during ownership. American Family doesn’t believe in punishing people for their mistakes. One of the most depressing incidents that occur when people have repairs done is finding out that they have additional out-of-pocket expenses. Glas Tek obtains all the needed approvals in advance so that there will NEVER be any additional out-of-pocket surprises. They honor American Family contract pricing and bill them directly for all auto glass repairs. They let you know exactly what you can expect as far as expenses go, and you can decide whether you want to go through with the job. Most American Family policyholders have a auto glass endorsement on their policy therefore windshield replacements and repairs are free of charge. 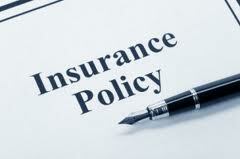 Insurance upcharging is a practice that no customer wants to experience. Glas Tek has a contracted agreement with American Family so that there will never have to be a question about the cost of the repairs. American Family customers do not have to worry about being victims of such a dishonest practice. You can feel confident that your premium will stay the same even after you get your window replaced by Glas Tek. The two companies believe in complete honesty and transparency. That is why they have been in business for so many years. Consumers know that they can trust them. If you only carry liability insurance and do not have windshield replacement coverage through American Family then Glas Tek can give you a low-cost out of pocket price to get you back on the road quickly. The company does its best to provide you with affordable pricing that is more generous than the prices that other companies in the market. In fact, Glas Tek prices their auto glass off of their cost and not an inflated NAGS price like our competitors. In addition, Glas Tek offers military and senior discounts. Moreover, they offer a 10% Reward with any additional auto glass replacement or repair purchases. The goal of the company is to lift the burden and make your experience less painful than it already is and keep your business for a lifetime. Glas Tek also offers instant auto glass repair quotes online, 24 hours a day and seven days a week. The quote tool will ask you for your vehicle information including year, make, and model. You will receive an instant no obligation quote. If you would like to get more information, you can submit the quote and a Glas Tek representative will call you back quickly and answer all your questions. One of the most notable things about American Family and Glas Tek is that they are both a reliable household name. As a consumer, you will want to do business with a company that can promise you integrity, stellar customer service, and a job that shows 100-percent effort. Glas Tek and American Family have a ton of awards and positive consumer reviews associated with them. American Family will waive your deductible if you carry comprehensive coverage on your policy. This means that even if you have a $500 deductible, American Family will pay for the windshield chip repair in full so that there is no cost to you. Windshield chips that are smaller than the size of a credit card are typically repairable. However, windshield repairs are NOT a cosmetic fix and will not make the break disappear when completed. 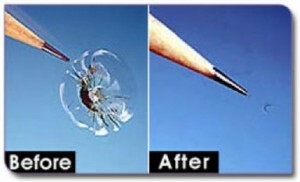 Most windshield repairs will clear 60-80% but many factors determine the outcome such as the location of the break, time the break has been on windshield, type of break (bullseye, star, etc), and size of break. Windshield repairs taker only about 20 minutes and keep the windshields factory seal intact. Visit our windshield repair FAQ’s and windshield repair process for more information on chip repairs. Furthermore, if you choose to have your windshield repaired and are unhappy after the repair is complete and you carry full glass coverage on your policy, American Family will approve a full windshield replacement. Start your insurance claim today if you have suffered an automobile accident. The online process is quick and simple. You could have a quoted repair in less than five minutes, and then you could have someone fixing your auto glass within one day’s time. Don’t leave your windshield broken. Make that call today and start your process. The number is 602-334-1694 or start your online windshield replacement claim now. The Glas Tek experts are waiting to help you with your windshield replacement or auto glass repair claim and can get you back on the road quickly.